Tasmania`s cool climate, mild summers and long autumn days are similar to those of the famous European wine-making regions and perfect for the production of sparkling wine. Made from a blend of Chardonnay and Pinot Noir (traditional Champagne varieties) this wine is a delicate lemon colour with a fresh nose of citrus and white blossom. The palate is vibrant and fruit forward in style with a delicate but creamy mousse. Serve as an aperitif or alongside smoked salmon or summer salads. The whole island of Tasmania is an official wine zone and whilst the island is not `regionalised`, northern and southern Tasmania provide quite distinct viticultural areas. The island has a range of microclimates and soil types which gives the island its diversity of character. Central to the exploration of the northern vineyard areas is the city of Launceston located on the banks of the Tamar River. Southern Tasmania incorporates wine areas that are within easy reach of Hobart and are carefully located for maximum exposure to the sun and protection from the cold southerly winds. The vineyards were first established in Tasmania during colonial settlement. 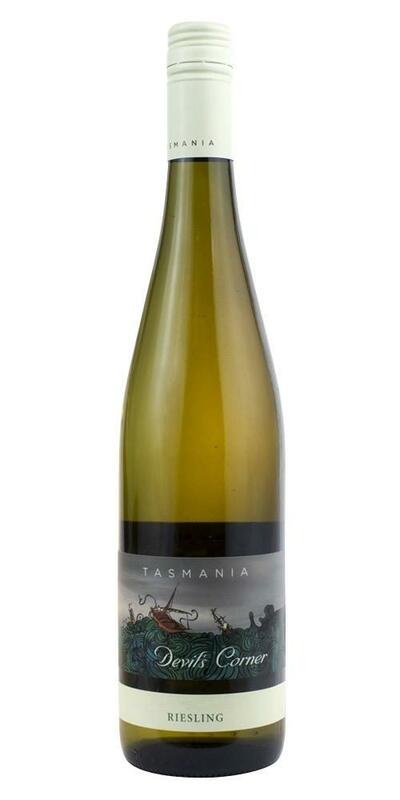 However, in more recent times, Tamar Ridge has established its own success story as part of Tasmania`s modern wine industry. The Devils Corner is a section of the Tamar River near the Kayena Vineyard. Known as a calm area for sailors to berth away from the wild waters of Whirlpool Reach to the south, these wines are a true reflection of vines cultivated in prevailing cool conditions.